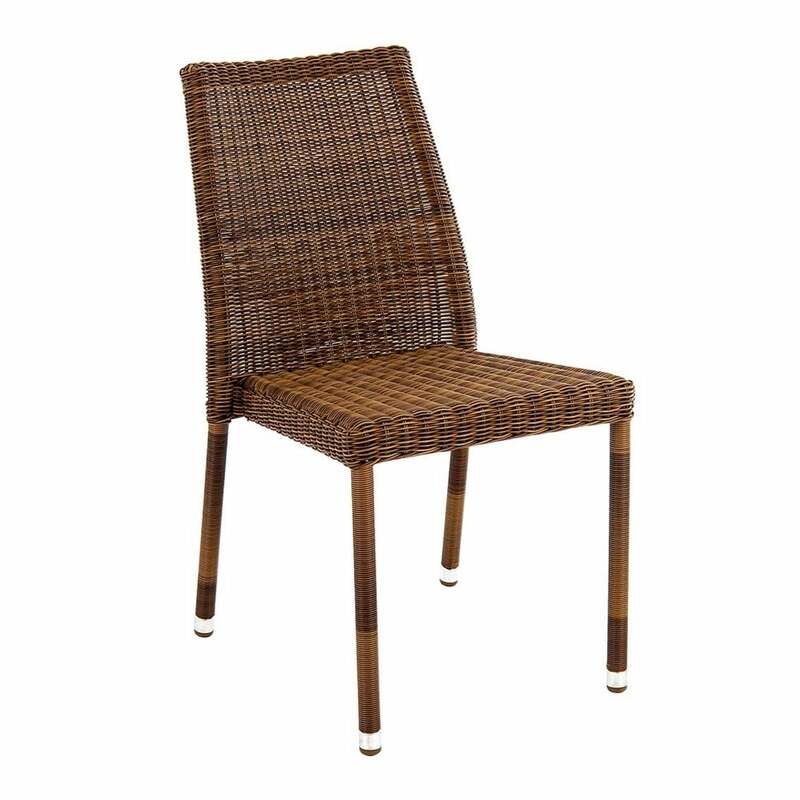 Alexander Rose San Marino Stacking Side Chair: The Alexander Rose Stacking Chair is an attractive and lightweight chair in the San Marino Range and would make a wonderful addition to complement the tables and sofas in the range to make a dining set. The San Marino Side Chair has been crafted with 3mm red pine rose fibres for a traditional basket style weave and woven onto powder coated aluminium framing for a rust free design. The Alexander Rose Chair comes in this practical design allowing you to stack away for easy storage when not in use.